A generously ventilated full face helmet with a durable fiber glass outer shell. The liner is made of multi-impact EPP, which means that the helmet withstands numerous impacts without having to be replaced. The open vents allow more air to flow through the helmet, increasing the user comfort and functionality. 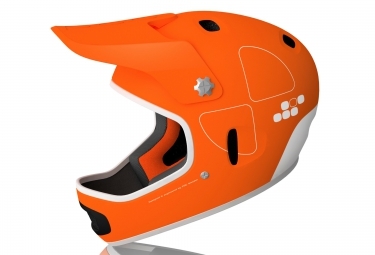 Casque intégral Poc CORTEX FLOW Orange clasificado 4.3 de 5 por 7.